Worried about your timing belt and looking for timing belt replacement Swansea? We offer timing belt replacements for all makes and models of vehicle at a great price. For a free quote give us a call now on 01792 771600. If you are unsure whether you cambelt needs replacing, book your car in for a free timing belt inspection. Our fully qualified mechanics can examine your cambelt and will let you know if it needs replacing. 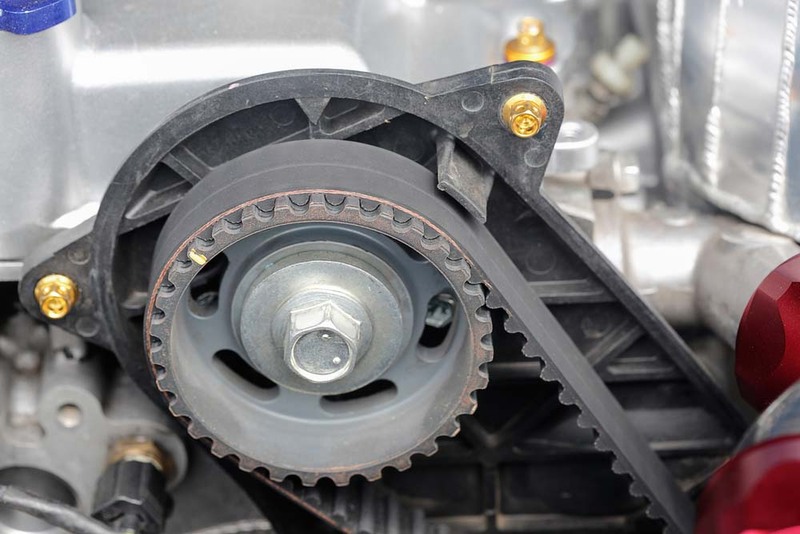 The timing belt (also known as cambelt) is an essential component of any car. Its purpose is to ensure the car engine valves are open and close at exactly the right time. All car manufacturers will advise when a timing belt should be replaced. We advise having your timing belt replaced at the recommended intervals to ensure it does not fail. A worn belt can cause major damage to your engine which will result in a replacement engine being needed. As well as ensuring your timing belt is in good condition, it is also important to make sure the tension correct. Incorrect tension, too loose or too tight can cause damage to the belt which will decrease its lifespan. For timing belt replacement Swansea visit our garage. We can replace your timing belt using high quality OEM parts. As well as timing belt replacement, we will also advise having your timing belt tensioner replaced at the same time. To book a cambelt replacement, don’t hesitate to contact us. Call us on 01792 771600. Alternatively, fill out our handy contact form and a member of our friendly team will get back to you as soon as possible.